Webydo is a work of love of a web design community that advocates the role of a designer in the website creation process. Shmulik Grizim and Tzvika Steinmetz co-founded Webydo because they actually needed it themselves. The co-founders were running a digital advertising firm and were spending about 70% of website creation budgets on hiring developers. At that time there were no code-free programs to allow designers create sites without having to manually convert their web design projects into valid code. So, they decided to create one. Launched in 2013, in about four years the company has amassed a strong community of like-minded designers and has helped to create thousands of professional-looking websites. What makes Webydo unique? Is it suited to the regular user? The best way to judge whether a service fits your needs is to try it out. So join us testing Webydo website builder. Just like any modern website builder, Webydo provides an intuitive drag-and-drop editor. Combined with a minimalist interface, it creates a cozy, easy-to-navigate website building environment. Anyone familiar with Adobe’s ecosystem will find Webydo intuitive and well-structured, but those who have no experience of working in Photoshop or InDesign will be overwhelmed with the editor. Webydo offers at least four toolbars each hiding more options making it difficult to understand where to start. For a beginner, there’s certainly a steep learning curve. The builder is conveniently divided into Dashboard and Design Studio. The latter has three working modes: Design, Content and Preview. 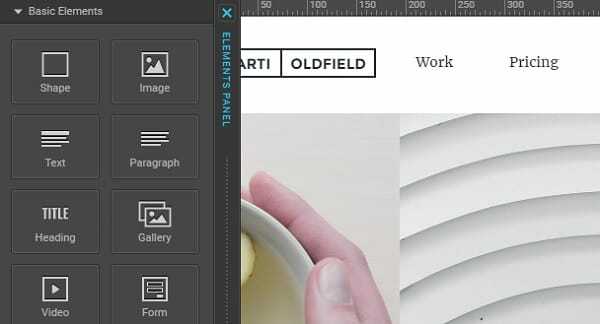 The Design mode gives you complete control over the design: you can add new pages, edit existing ones, rearrange objects on the canvas, edit text styles and more. Even if you are a designer, make sure you watch Webydo’s introductory video and take a quick interactive tour – that will save you lots of time and effort, and help make the most out of the platform. For instance, you may not notice some of the hidden automation features, such as Liquid Element Groupings that allow you to resize and relocate groups of elements, and change their settings; or Automated Layouts that let you easily reorder layouts and sort elements into columns for multiple device sizes. But what’s more interesting is the fact you can customize your Studio environment: Webydo lets you organize control panel elements according to your preferences. By switching to the Content mode you’ll see your site as a CMS user: you’ll be able to update content, but have no control over the design. 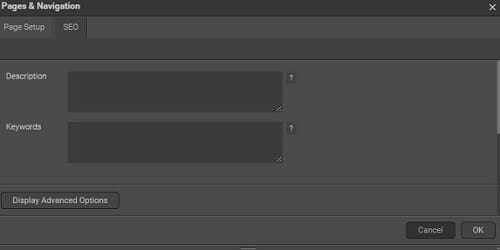 It’s noteworthy that while in the Design mode you can make certain elements non-editable by CMS users simply by ticking the corresponding checkbox (see screenshot). Webydo’s smart Text Editor is worth a special mention. It makes the Design mode even more efficient by automating many operations, generating cleaner code and saving you a lot of time. In particular, you can set to apply new changes globally, all over the website. For instance, you can alter all subtitles on your website with a single click, without having to manually change them on each page. The Preview mode lets you see exactly how your published content will look and act across various devices. Another feature worth mentioning is the Updates window that pops up each time you enter the control panel. It shows you what’s new in Webydo, so you’ll never miss an update. The Revision History feature. With it you can now preview older versions of the site and recover the version you like most. Great job! Webydo has a Photoshop-like control panel packed with advanced web design tools that let you fine tune your website with pixel accuracy. So what kind of elements can you drag to the page? Webydo includes most conventional elements: shapes, images, text, videos, Flash files, galleries, menus, and various widgets. Less conventional is the code-free Parallax scrolling animator. With the animator, you can set amazing animation effects on any kind of visual objects: images, shapes, forms, galleries, .gif files and even widgets. What I found immediately when reviewing Webydo is their focus on responsive design. Designers can easily manage all versions of their site from a single dashboard by creating breakpoints for different screens and devices. Users can hide and unhide elements on the page, adapt typography and navigation to create different experiences for all their visitors. Custom typography. While most site builders limit you to using their in-house font libraries only, Webydo lets users easily upload custom fonts. In the Webydo studio, click on any text element and select ‘Add fonts’ in the design panel. Then, in the ‘Manage Your Fonts’ window, click the ‘Upload Your Fonts’ tab to easily upload any font from your PC. 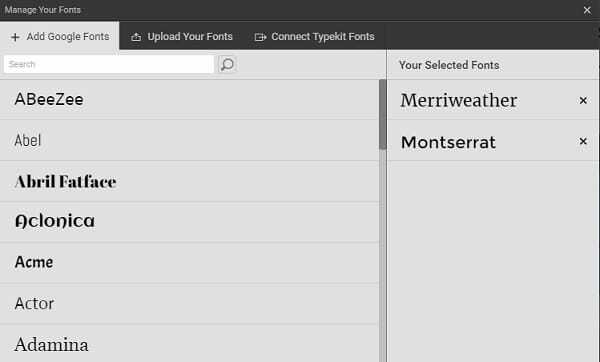 Besides, you can connect to your Adobe Typekit account to use your saved fonts in the Webydo Studio. In the ‘Add Fonts’, select ‘Connect Typekit Fonts’ and follow the cues to swiftly add your API Typekit token. Commerce. 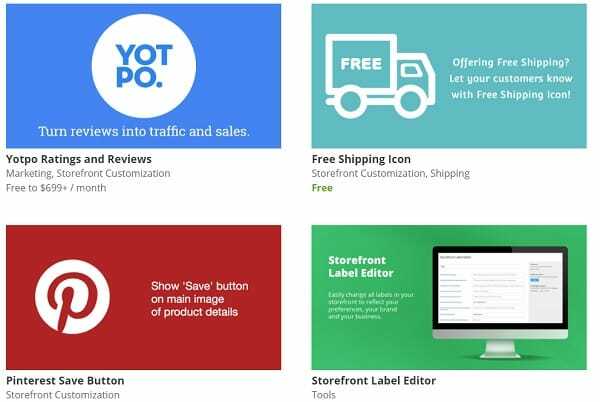 Webydo has powerful in-house eCommerce functionality. It’s system contains all webstore needed features and even more. To activate you store, just click on ‘Store’ button at the main menu and you’ll be transferred to store interface. With a trial mode you can sell up to 5 products. To activate a full features of Webydo Store instruments, you have to subscribe with one of the paid plans. Besides, Webydo has its own app market from where you can install lots of items that could make your store more attractive. Blogging. Webydo has a full-featured blogging system called ‘Blog Content Mode’. Using this feature, designers can create a template to allow CMS users add and publish new articles following the same design format. The Blog feature also works for creating product collections, news feeds and other repetitive elements. You won’t find lots of apps and widgets in Webydo. Unlike Wix or Jimdo which have whole app markets, Webydo is more focused on the look of your website, rather than its operation and offers applications for e-store only. If you need to insert some custom code, you can either use the Custom code widget or export your site’s code and share it with developers if any serious changes need to be made. Because Webydo is primarily intended for freelance designers and agencies, it comes with a set of business-related options which can’t be found in other website builders. These include Bill my client and Build your brand options. The Bill my client service gives designers the ability to bill their clients directly from the dashboard. Webydo charges a 5% fee per successul transaction. The Build my brand feature lets you replace Webydo logos with your own brand, including your clients’ login page and CMS. This feature allows designers to present Webydo’s interface as their own. They can also connect a custom domain to publish their projects under their own subdomain. The multi-functional Dashboard of Webydo allows designers to easily manage multiple projects from one place: control their settings, run a search among your websites, and get help from the Webydo experts. First, users can specify meta tags (Title, Description, and Keywords) for each individual page. Second, there’s an easy way to connect Google Analytics and Google Search Console. Third, users can set 301 redirect to safely migrate pages from their old sites. There are three options when it comes to design: you can pick a ready design (these are fully customizable, no worries); start with a layout defining the structure of your future website; or start from scratch. Webydo’s template collection isn’t huge, yet it allows you to see what Webydo websites may look like when published. All Webydo templates are responsive. Webydo stands out for its friendly community and support that is ready to help you anytime via Live Chat in your Webydo account. There’s also an impressive video Knowledge Base. Besides, you can always contact their Team directly by filling out a feedback form or by phone. In addition to the Support page, Webydo interacts with its clients through the Suggest a Feature, Report a Bug and Vote! pages. So, if you feel that Webydo lacks a certain option – just suggest it. It works! The aforementioned parallax animator, the responsive editor, white label, custom 404 error pages and more were once suggested features. ✓ Up to 10 Websites. There are four paid options, each comes with a free 30-day trial. But before you receive your trial, you should fill in your card data. It’s a normal practice, during 30 days trial you may cancel the subsription at any time without any charge. The paid versions include Pro ($90/mo), Team ($180/mo) and Agency ($480/mo). Your choice will mainly depend on how many websites you plan to build, whether your need the ‘site exports’ feature, and collaborators. The third Webydo plan (called Agency) comes with the following add-ons: branded sub-domain, professional training, 10 team members, client DIY wizard and what’s more – dedicated account manager. If you need more than these plans offer, there is an ‘Enterprise’ solution. There are also discounted plans for students and enterprises. Contact one of the Webydo experts directly to learn more about discounts. Question: What’s the main idea behind Webydo? Answer: Webydo was created by a leading web design agency to help professional designers create sites for their clients without coding. Behind its user-friendly interface, Webydo is a very complex platform that instantly converts your designs into valid code. The main idea of Webydo is to empower designers through bringing any design to life with pixel accuracy without having to rely on expensive coders. Question: Who is it for? Answer: Webydo has a look and feel of Adobe’s Photoshop or InDesign. There are many advanced tools you’ll never find in DIY site builders like Wix or Weebly. Some of these include layers window, opacity and fill control, smart guides and even a parallax scrolling animator. Therefore, if you’re not into web design, Webydo will seem complicated to you. Its technical nature makes it perfect to professional designers, yet ill-suited to a beginner audience. Question: Is Webydo template-based? Can I start from scratch? Answer: With Webydo, there are three ways to start building a site: from scratch, using a black-and-white layout, or using a ready template. Regardless of the chosen option, your site remains 100% customizable. You’re free to add, move, edit, copy and remove any objects in any area of the design. Question: Can I share my designs with collaborators and clients? Answer: Yes, you can. Since Webydo is targeted at freelance designers, it offers unique project management capabilities. First, you can set different access rights to your collaborators (editors and designers). When your website is ready, you can define your client’s permissions and provide him or her with a direct login page, so your client can access the CMS and make content-level changes. Second, you can share your designs with your client in live mode (no need to send files over email) and even allow him or her to make edits in it. Thanks to the convenient Dashboard you’ll be able to monitor and manage multiple projects simultaneously. What’s more, Webydo lets you fully rebrand the system – you can add your own logo to your client’s login page, the CMS, your dashboard, and even your online design studio. Question: Can I create a responsive website with Webydo? Answer: Yes, you can. Using Webydo’s responsive editor you can create unique experiences for different devices. Users can easily manage all versions of their site from one dashboard by creating breakpoints for different screens and devices. Q: Are there any eCommerce capabilities? Answer: Webydo has strong in-house eCommerce. 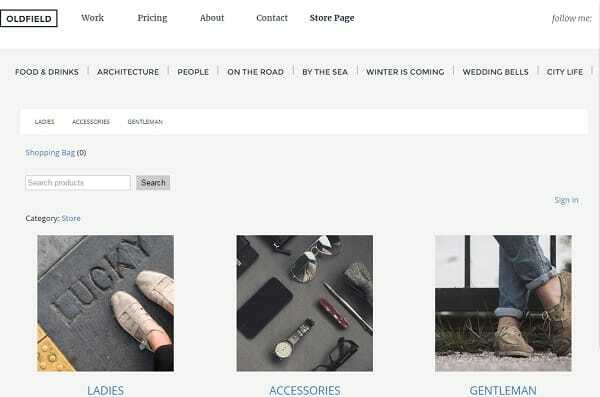 Webydo store has lots of features that will be useful for those who want to build an eCommecre project on this platform. But the full functionality can be discovered with a subscription payment. The good news about the Webydo Store is that it’s filled with demo content, so you can approximately see what is s webydo eCommerce back- and frontend. Question: Can I export my website? Answer: Yes, you can. You can export your design and pass it to coders if any custom coding has to be made. When your site is ready you can host it with Webydo or host it anywhere outside the Webydo platform. Question: How much does it cost to create a website using Webydo? Answer: You can start off with a 7-day trial period. You will enjoy all the features of Webydo free of charge for those days. After your trial, you’ll be automatically proposed to upgrade one of three paid plans. If you’re refused, your website will be temporary blocked for viewing and editing. You can upgrade to a higher plan anytime. The paid plans include Pro ($90/mo), Team ($180/mo) and Agency ($480/mo). As a platform clearly aimed at professional designers, Webydo is more focused on design, rather than functionality. It’s a ‘static’ website builder. If you expect to find tons of widgets and plugins, Webydo isn’t the best option. However, the good news is that Webydo has the Participate section where you can suggest a feature. The complicated design studio of Webydo makes it ill-suited to the regular customer. There’s a steep learning curve. Webydo is a respectable name in the website building market. However, it has already built a strong user community (near 260,000 customers as of today). It’s good for building portfolios, full-featured shops and business sites. This website builder suits the best for web-designers as its interface and key features are designer-oriented. The price of Webydo subscription also alludes us to be used by professional who operate dozens of websites per month. All in all, Webydo is not another simple website builder, and if you plan to start your business with website making, this service would be very useful.